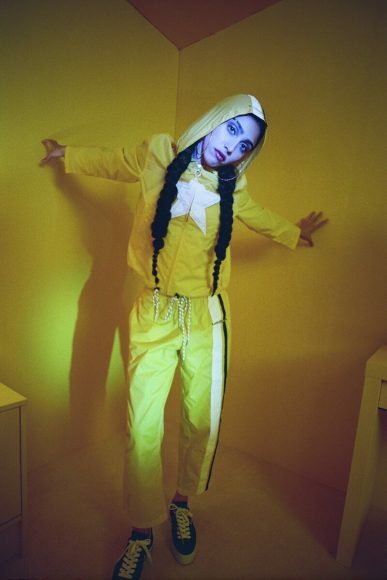 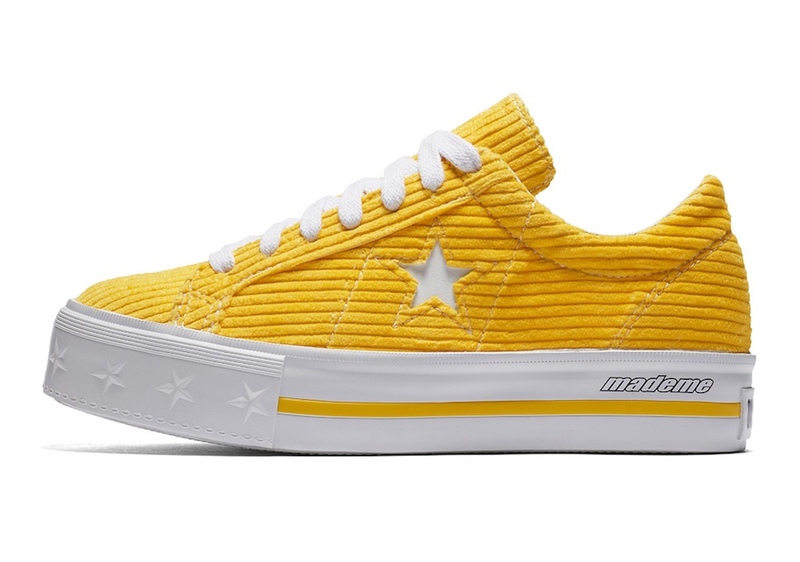 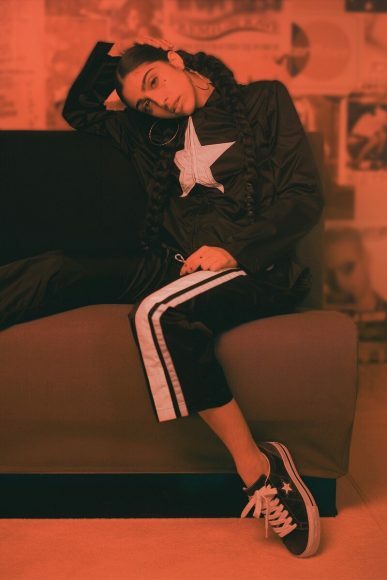 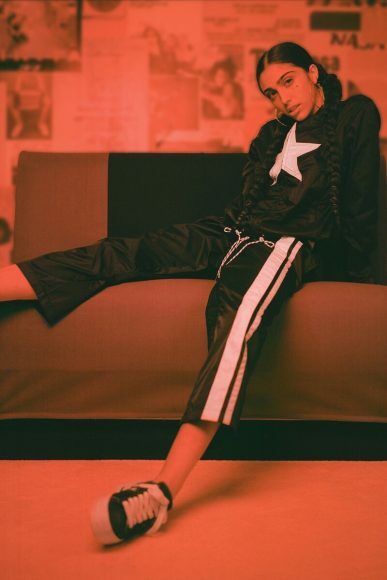 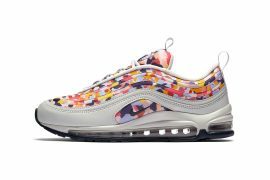 New York-based women’s streetwear brand MadeMe and Converse have teamed up for a 90’s inspired capsule collection. 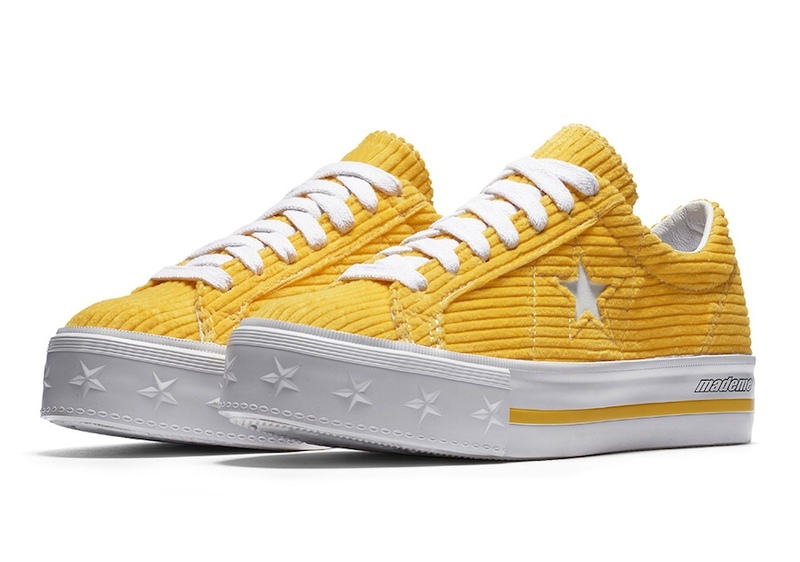 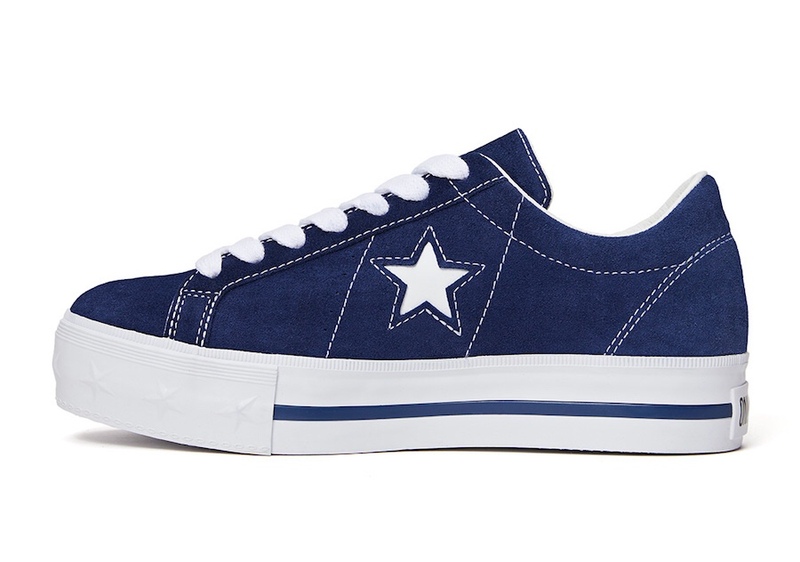 Coming our way in two different versions, the Converse One Star gives off 90s vibes in bold colorways and stacked soles. 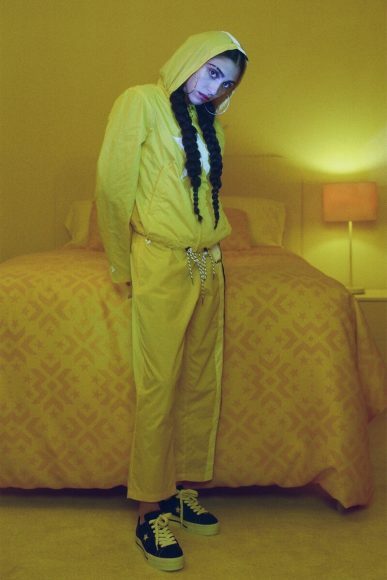 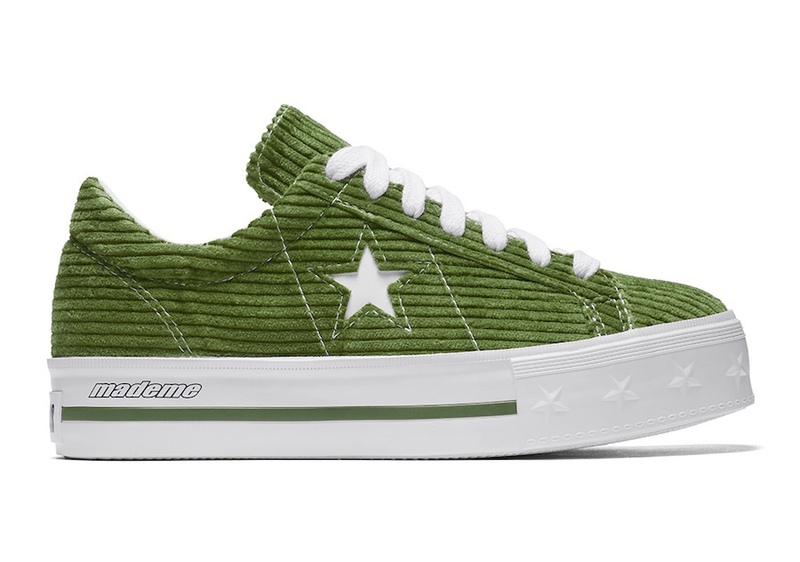 The first two pairs, the yellow and green, feature a six-wale corduroy chunky ribbed fabric. 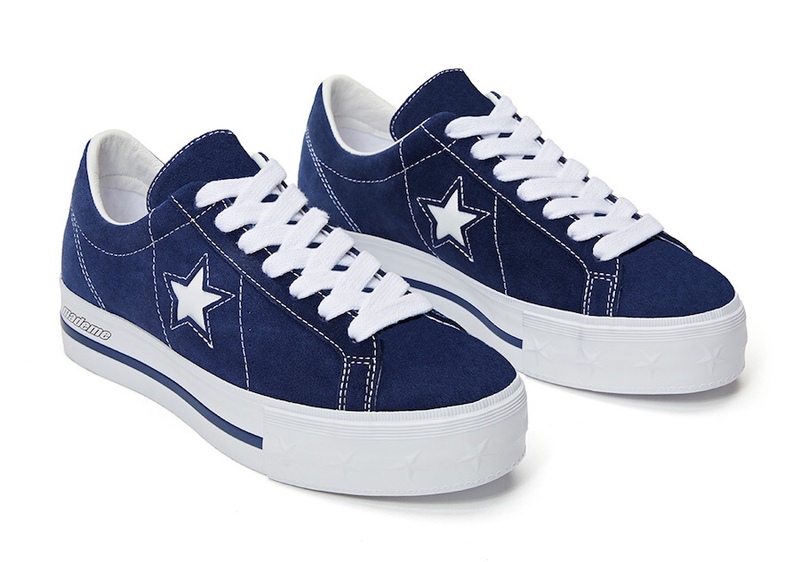 The next two pairs come in black and blue colorways with reissued washed suede uppers. 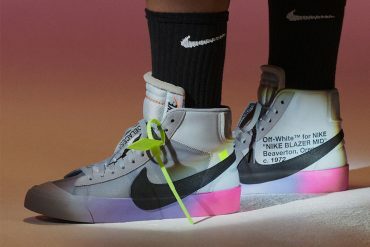 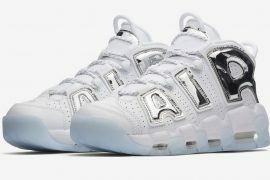 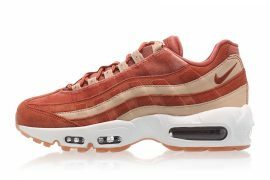 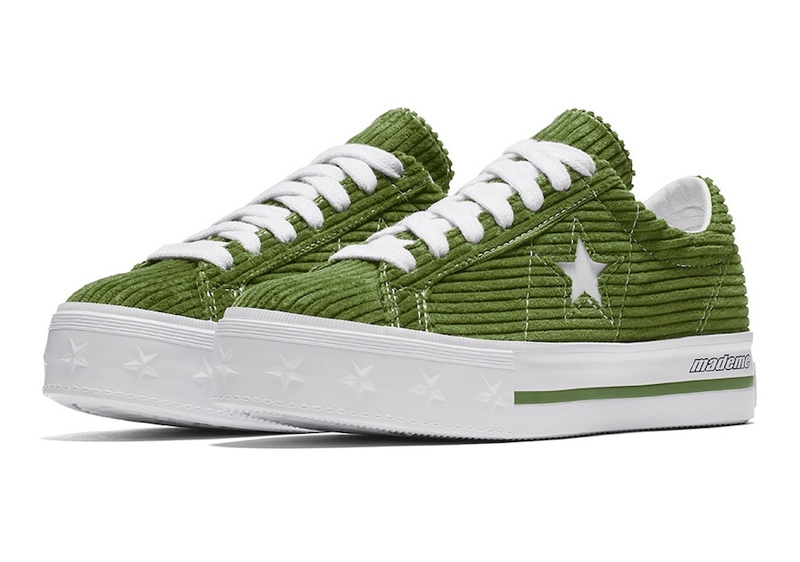 Each pair includes white accents like the chunky cotton laces and stars, a goat leather collar, and “mademe” branding on the midsole. 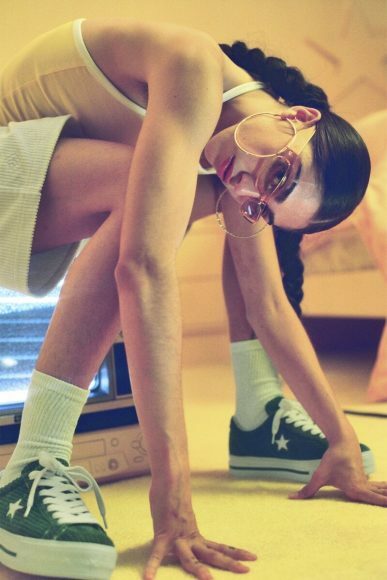 If you’re looking for a 90s kind of world take it back with the MadeMe x Converse One Star collection on May 24th. 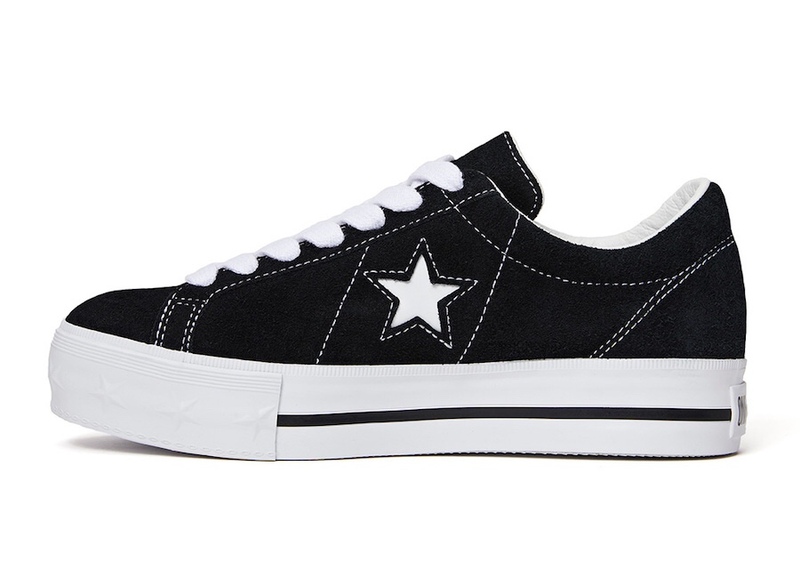 The four shoes will be available for $100 USD each along with apparel at select retailers and converse.com.